Georgian style (1715-1810) developed from Roman Palladian style. Harmony and symmetry were key, with delicate furnishing, intricate moulding and panelling. This can be seen in many homes of today, with box sash windows and symmetrical facades being typical of the period. Famous architects include the Scottish architect Robert Adam, and the English architect Sir William Chambers. Regency style (1811-1830) flourished during George IV’s reign. Inspired by the Regency architecture of Robert Adam, this rich and elegant cream has a classical edge. Use with 1829 White Undercoat. An appetising dark cream with the glow of brandy butter. Works with dark timber floors or stone. Use with 1829 White Undercoat. A harmonious, powerful off-white that mimics the shading and colour of stone used in fine Norman churches. Use with 1829 White Undercoat. A soft, silvery pewter grey. Lends an understated elegance where combined on both walls and mouldings. Use with 1829 White Undercoat. A pale, powdery and cloud-like blue - a fitting companion to 20th century Scandinavian furniture and ceramics. Use with 1829 Light Grey Undercoat. 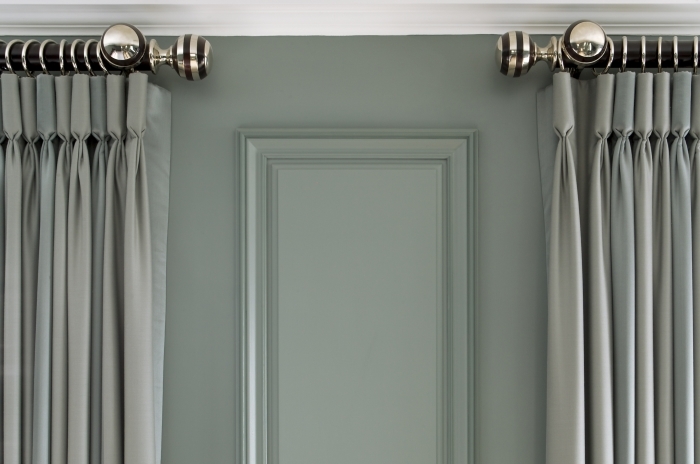 A sophisticated green that echoes the elegance of 18th century rooms designed by the Adam brothers. Use with 1829 Light Grey Undercoat.